Quick overview In an accessible style, the author demonstrates the link between grammar and vocabulary. Teachers need a clear description of what constitutes grammar and how it can best be taught in the English language classroom. 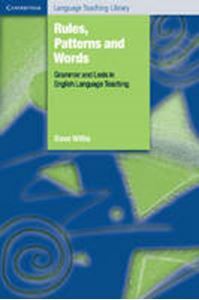 This book illustrates a new way of describing the grammar of spoken and written English and demonstrates how lexical phrases, frames and patterns provide a link between grammar and vocabulary. These processes and techniques are contextualised within a task-based approach to teaching and learning. Numerous interactive tasks are provided to guide readers. Over 40 examples of teaching exercises are included to illustrate techniques which can be applied in the classroom immediately.